Common OLAP reporting scenario includes filtering of data based on date period relative to current time, such is 'Last Week', 'Last 3 Months', 'Parallel Period', etc. 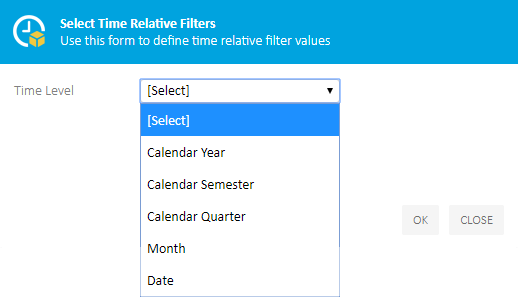 There are different approaches to this filtering requirement and Kyubit BI tools now include additional option to make it easy for any analyst to filter any data based on relative time periods from the current date. Time Intelligence filters could be used within OLAP analysis, OLAP report or in Dashboard. Prior to be used as time intelligence filter, OLAP dimension hierarchy needs to be configured (only once) in Kyubit application (explained below). After initial configuration, same OLAP dimension hierarchy could be used for relative time period filtering anywhere in Kyubit application, by any user. Add Time dimension hierarchy that is configured for Time Intelligence filtering. Select available levels of dimension hierachy to be used as time intelligence slicer. Select 'Time Function' ('Last Periods' or 'Parallel Period') and 'Periods' number. 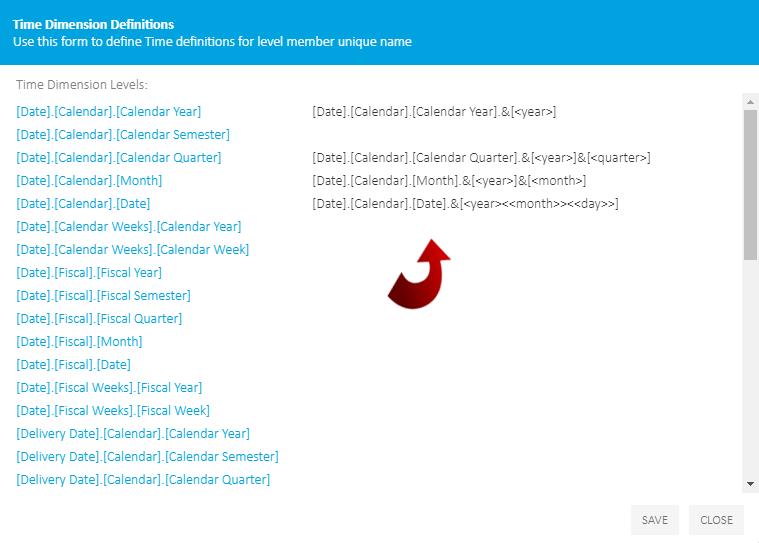 Time Dimension hierarchy could be used as Time Intelligence Slicer, once we have defined its level member unique name format. This action of configuration has to be done only once, after which all users can benefit from this configuration. Base for this feature is on application to find appropriate dimension member based on current date, after which is no problem to use 'Last Periods' or 'Parallel Period' functions to find any scope of periods relative to current date/time. For that reason, we have to define member unique name formatting for each of dimension levels we want to use as Time Intelligence Slicer. 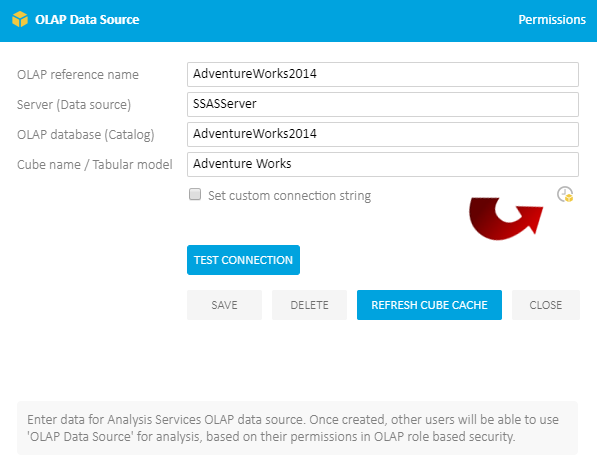 Open OLAP data source dialog form and click on the Time Intelligence button. List of all Time dimension levels in the OLAP cube will be listed. On the right side of listed dimension levels, already resolved formats are displayed. Click on the levels to resolve its member unique name formatting. List of sample members for selected dimension level is displayed to show member unique name samples. Numbers in the member unique name should be replaced by certain date parts (Year, Semester, Quarter, Month, Week, Day). We could resolve definition manually or with help of 'Auto Resolve' button, which should work in majority cases. 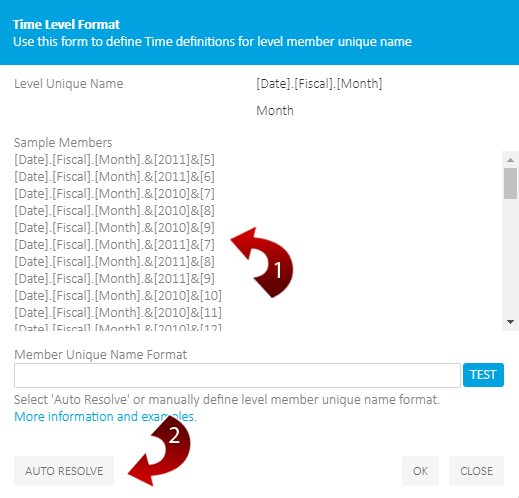 After Member Unique Name Format is resolved (Manually or Auto Resolved), click on the 'Test' button which should validate provided definition. Please, refer below samples for manual definition. If validation is successful, click 'OK' and 'Save' on the list of dimension levels. That time dimension level is ready to use on any analysis or dashboard. 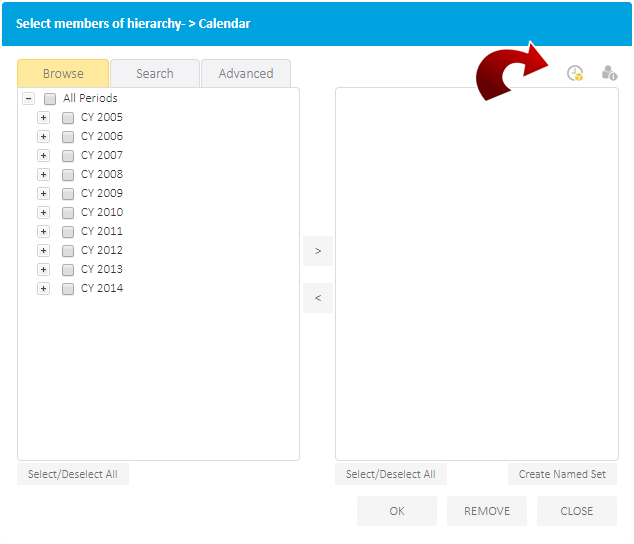 Numbers in the member unique name should be replaced by certain date parts (Year, Semester, Quarter, Month, Week, Day), that would describe to application which date parts are needed to construct member unique name. 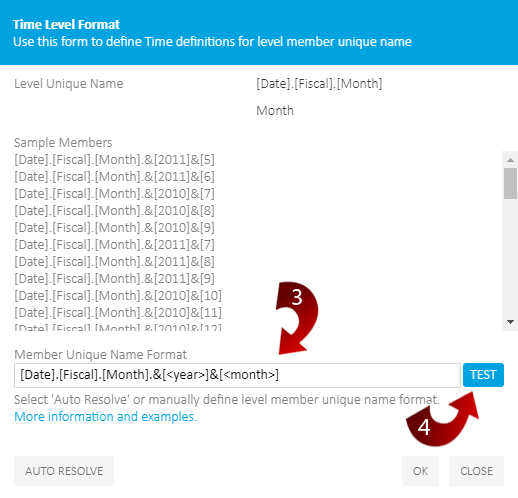 It is easy to manually interpret member unique name format and replace by appropriate date part Placeholders. Placeholders are not case-sensitive.